Pollinators serve the important function of carrying pollen between plants to aid in plant reproduction. While bees and other pollinators mo ve from plant to plant gathering nectar, pollen collects on their bodies and is distributed to other plants to start the process of fertilization and reproduction in plants. 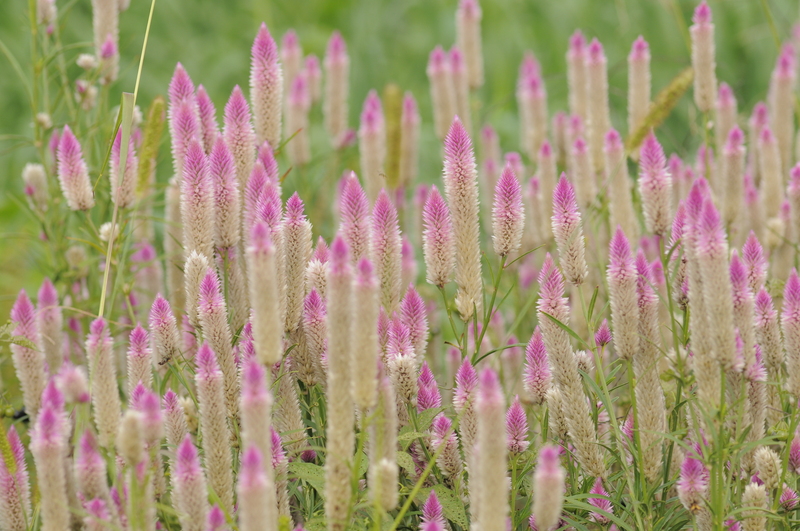 On the farm, we actively manage both honey bees and native pollinators. We have two colonies of honey bees on the farm, which are managed organically and are mainly kept for pollination purposes rather than honey production. 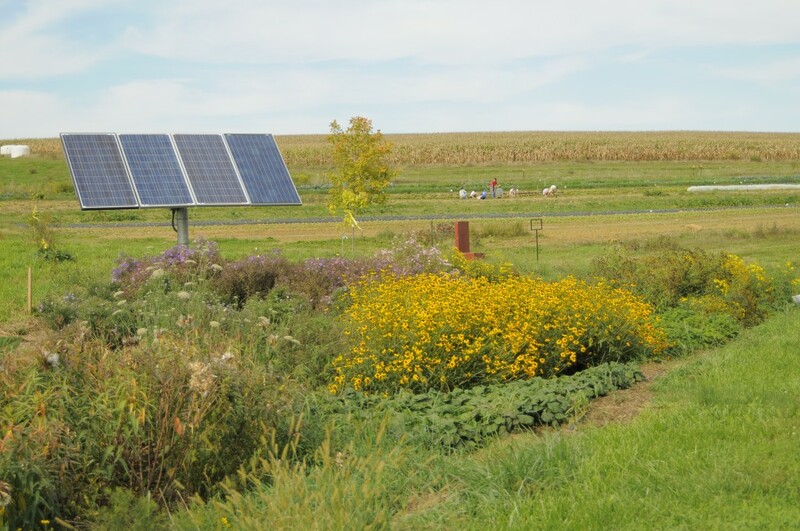 We also encourage the presence of native pollinators on the farm with a native pollinator garden (the flower garden near the solar panel by the yurts), which was installed with the support of the Penn State Cooperative Extension. Since 2008, Penn State has been using the College Farm as a site to study the impact that the pollinator garden has as a habitat and food source for native pollinator populations. 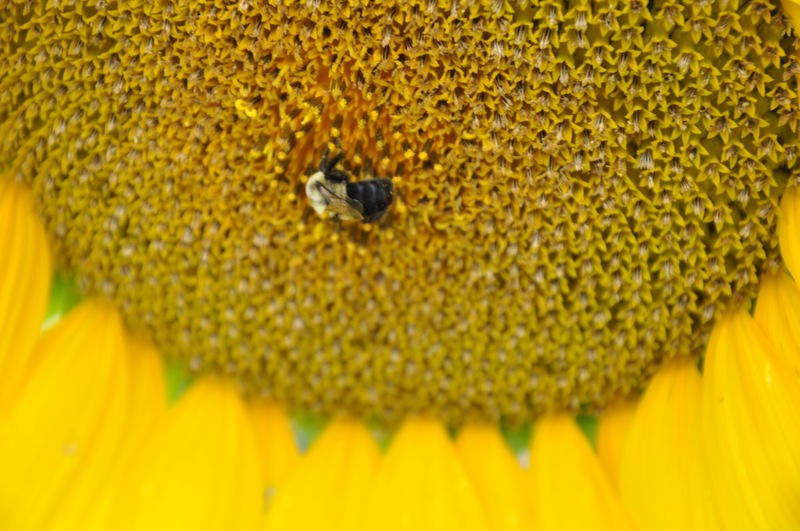 Additional collaborative research has included the study of pollination behavior with native squash bees and a general survey of native pollinator populations on our farm. Research of this nature aims to assist vegetable farms in determining the best ways to manage pollinators for maximum crop production. Many people know very little about honeybees. You may think bees are just another creepy flying insect like I did. For those who don’t know me, I am Molly Bletz. I am an intern for the Alliance for Aquatic Resource Monitoring organization. I am a 12th grade student at Carlisle High School. As a child, I collected dead honeybees and other insects simply assuming they were all about 90 percent the same. Some were different colors and others were different sizes but in my mind they were just cool bugs. Little did I know the only thing insects have in common are the fact that they are insects. Different insects are unique to themselves. In fact, honeybees are by far one of the most complex, unique insects, with such a fine detail to their hierarchy and lifestyle. Did you know? Honeybees communicate with one another by “dancing” to give the directions and distances of flowers. Did you know there are three types of bee within a beehive? Did you know that the fertilized and unfertilized eggs develop into different honeybees that carry out different jobs? Honey bees can be divided into three types: the queen, the drones, and the workers. The queen is the main female of the hive. The drones are the males that develop from the unfertilized eggs. The female bees, the workers, develop from the fertilized eggs. Each bee has a different task to complete so the beehive runs efficiently and effectively. The queen’s sole purpose is to mate and lay eggs, both fertilized and unfertilized. The only job of the drones is to mate with young queens. The worker bees perform various tasks depending of their capability and the season. Some potential tasks include; cell cleaning, wax production, egg moving, and water carrying. The main purpose of bee keeping is, in many cases, pollination and honey production. 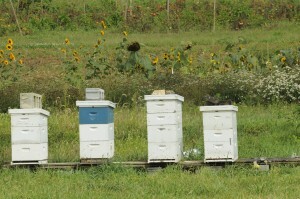 However, bees are also kept with the goal of collecting beeswax or producing bees to sell to other beekeepers. Many plants species rely on bees and other insects for pollination: maintaining a beehive around gardens or orchards is a great way to have flourishing flowers and crops. Honey production is one of the oldest forms of food production. No human activity could ever replace the work of bees and yet the benefits that bees provide are largely taken for granted. Just think of a world without beans, tomatoes, onions, and carrots, not to mention the hundreds of other vegetables, seeds and fruits that are dependent upon bees from pollination. 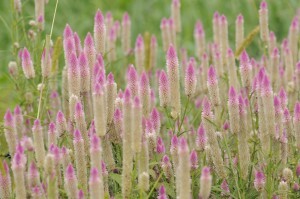 Livestock are dependent upon bee-pollinated forage plants, such as clover. Within the United States agriculture economy alone, the annual value of honeybees pollination can be counted in the billions of dollars. 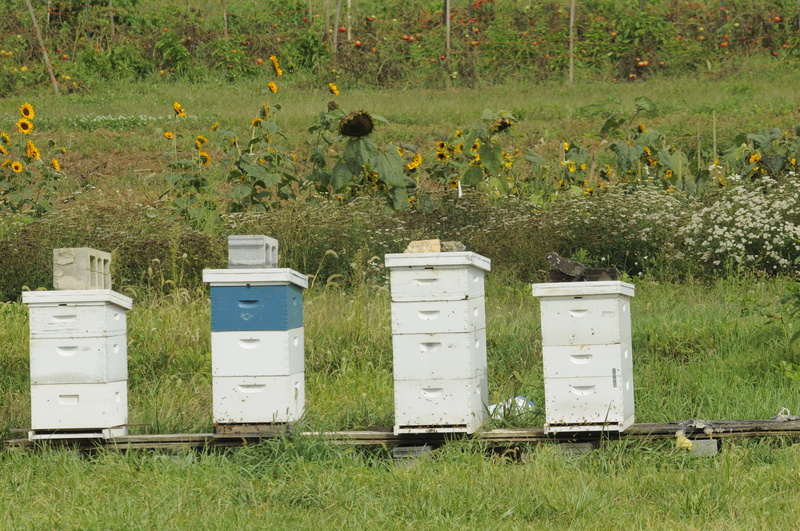 Dickinson’s beehives, located within the student-run garden, was established only one year ago. It was donated to the garden by the parents of a student, Ben Martinez, who works at the garden. The garden staff is in charge of the hive and Professor Gene Wingert from the Environmental Science Department is their mentor. The bees are flourishing; they are producing honey and will soon be pollinating the garden. Did you Know? Honeybees can perceive movements that are separated by 1/300th of a second. Humans can only sense movements separated by 1/50th of a second. Were a bee to enter a cinema, it would be able to differentiate each individual movie frame being projected.